THOMPSONTOWN — T-Ross Brothers Construction has begun building a new steel structure at the Regester Chevrolet dealership in Thompsontown. A T-Ross Brothers crane was used to put steel beams into place for the new building, which will be used as a paint booth. The new pre-engineered steel building is about 13-hundred square feet and will be located on the same lot as the dealership on Main Street in Thompsontown. 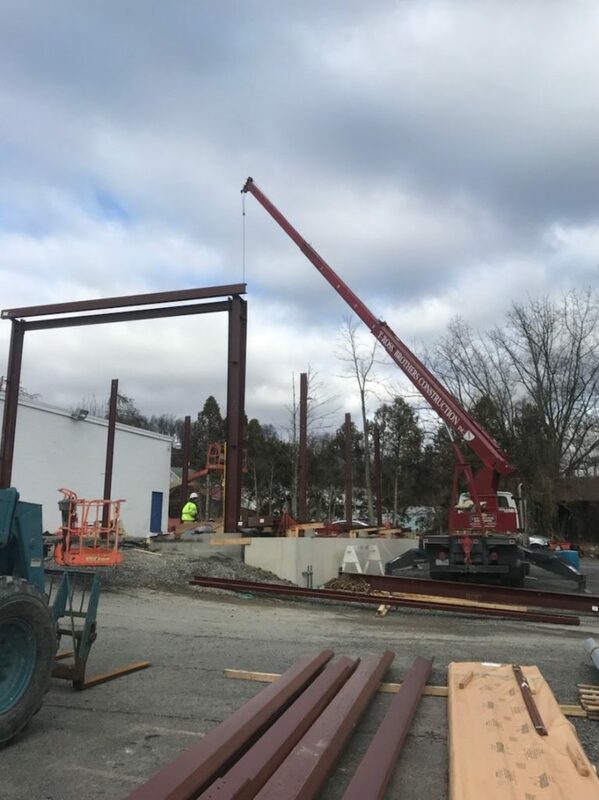 The post New steel building at Regester Chevrolet in Thompsontown appeared first on T-Ross Brothers Construction, Inc..